If you’re an active or outdoorsy person- it’s hard not to become a little spoiled when you live in Oregon. Not only do we have the incredible coast, beautiful forests and awe inspiring mountains, we also have some truly enviable skiing and snowboarding destinations right in our own backyard. If you’re looking to hit the slopes this season, you don’t have to go far to find some of the best winter sports destinations the country has to offer. Bundle up as we count down through our top 3. Mt. Ashland can be found just eight miles off Interstate 5, southwest of the charming city of Ashland in Southern Oregon. Ashland is famous for the Oregon Shakespeare Festival, its 5 star restaurants and flourishing coffee culture. But its sophisticated cultural side isn’t the only great thing about it. At 7,500 feet, Mt. Ashland the the highest point in the beautiful Siskiyou Mountains. Mt. 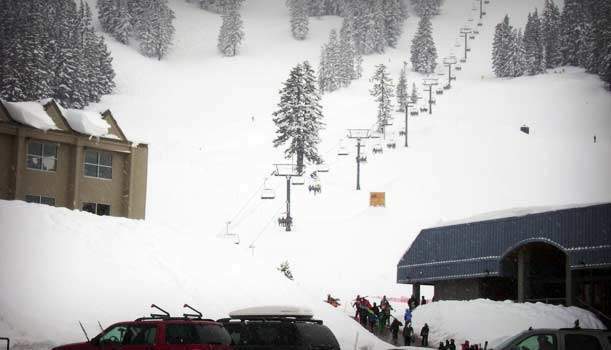 Ashland also has the second highest base elevation of any ski area in Oregon, and its north facing slopes collect an average 300 inches of snowfall annually. The resort offers 23 trails including chute skiing and boarding in its famous bowl. The terrain is pretty challenging but is easily accessed by four chairlifts. This is a full service ski area, complete with lessons in snowboarding and skiing to suit a variety of skill levels, available in both group and private options. There is also a retail store where you can pick up your snow-bunny essentials, and a tudor style lodge to enjoy some fresh local cuisine and libations. 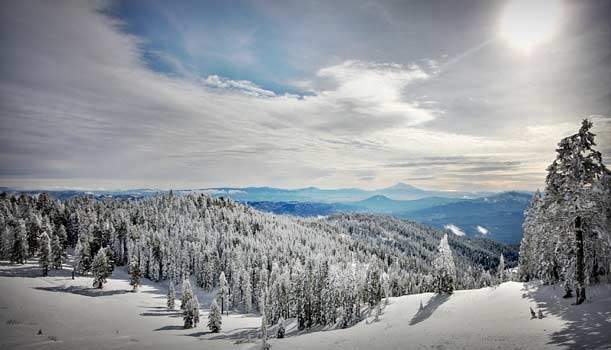 Located just west of beautiful Bend, Oregon by November, Mt Bachelor will be a snow lover’s paradise. Mt. Bachelor offers 360 degrees of skiing and riding terrain on nearly 3,700 acres from the 9,065 foot summit. The resort operates entirely on the Deschutes National Forest and has been offering all visitors an absolutely unique wilderness skiing experience for over half a century. Mt Bachelor has eleven ski lifts, seven of which are high speed quads. They’ll whisk skiers and snowboarders up a total vertical drop of 3,365 feet, offering you a truly breath-taking view, so to speak. Mt Bachelor is also home to Oregon’s largest specialty ski store, so if you need to update your gear- it’s definitely the place to go. Enjoy a shuttle to the city of Bend after a long day on the slopes which boasts a great nightlife scene, fabulous eateries and boutique hotels. We had to save the best for last. Mt. Hood is the perfect place to go skiing or snowboarding this Winter. It’s right outside of Portland and you have a multitude of resorts to choose from. For example, Timberline Lodge is the only ski lodge in North America that is open 12 months a year. It’s a classic WP era style lodge, complete with two resident St. Bernards named Bruno and Heidi. In the winter months, it offers some of the state’s most scenic skiing and at the height of the snowy season, you’ll have to enter the ground floor through a charming snow tunnel. 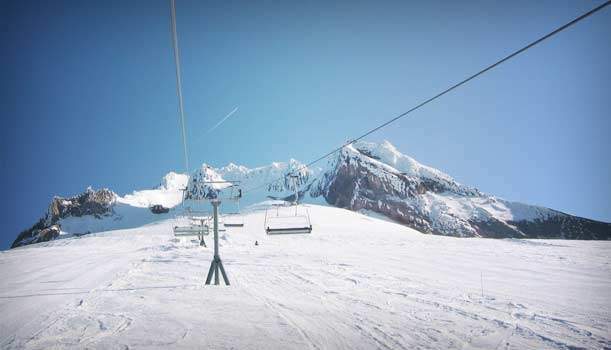 If you’re looking for something a little less formal, there’s also the Mt Hood Ski Bowl. The Ski Bowl offers impeccably kept terrain for all ability levels, as well as America’s largest night ski area. It’s also home to the Olympic Ski School which offers private and group lessons for aspiring skiers and snowboarders of all ages. Best of all, it’s less than an hour outside of the city, which makes it a great family weekend activity. Injuries are inevitable if you ski and snowboard regularly during the winter in Oregon. If you find yourself in pain following a ski or snowboard related injury give us a call. We are experienced helping folks like yourself suffering from sports related injuries heal and fully recover alleviating pain and restriction in joints caused by the injury.